Google is to launch a cloud-based storage service called Google Drive that will allow consumers to store photos and other content online. According to news, the new service is likely to offer 5GB of free storage with a monthly fee for additional storage. Google Drive will integrate with Google Docs in depth, so as to let you and your colleagues carry out real-time processing on documents, spreadsheets and presentations. At the same time, you can reply to relevant documents and comments, and you will receive notice when other people comment on your file or want to share with you. As we reported before, Google Drive covers several major platforms: Mac, Windows, Android and iOS, ranging from the PC to tablet and to smart phones. But iOS version will be released in recent weeks. Meanwhile, for disabled people Google Drive launches special screen reader support. As we reported today, Google Drive will make a full integration with Google’s core search engine, so that you can search via keywords or search by filtering the file types, file owners and the file dynamic situation. 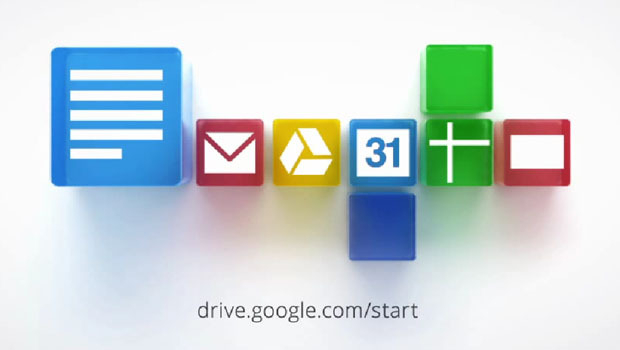 Google Drive supports to open up to 30 file types directly from web browser, including HD videos and Photoshop stuffs. In addition, files can be opened even with no relevant software installed. The new control tool can let manager delete or add individual or group users’ storage space. By encrypting data transferring between web browser and web server, adopting two-step authentication method, so as to prevent unauthorized account of logging for record. Even the server crashes, the data still will be safe and available, because we have made data synchronization to multiple data centers. Google guarantees the normal operation of 99.9% of the time, so you don’t need to worry about the availability of data, you can get access to the wanted data anytime. At present each user can get 5G free storage space, at the same time, it includes a set of application management program. This package allows users to manage and purchase extra storage space. When the storage space is to the limit, the administrator can spend $4 on buying 20 GB of capacity for each user, it can expand to 16 TB to the maximum. The WiMAX Android smartphone HTC J (ISW13HT) has been formally released in Japan. HTC J is equipped with specifications that are similar to HTC One S: 1.5GHz dual-core Snapdragon S4 processor, 4.3-inch AMOLED qHD wide screen which is great for watching DVD video on HTC J, built-in 16GB storage expansion, microSD card slot, 8-million-pixel rear camera and 1.3-million-pixel front-facing camera, running on Android 4.0 ICS system. One point that is relatively special on HTC J is that it supports WiMAX wireless network. WiMAX, also called 802•16 wireless MAN and its full name is Worldwide Interoperability for Microwave Access. It has extended to North America, Europe, Asia and other regions, with relatively low cost, is able to cover 25 to 30 miles of range, so that it is considered to be the most competitive opponent of 3G network. More interesting, UrBeats headphones are also attached to HTC J. HTC has announced to give up Beats headphone not long ago for headphone is not one of the elements that will be considered when purchasing a smartphone. Obviously, the manufacturer has not begun to execute this strategy. The size of the HTC J is 132 x66x11. 2 mm, weighs 142g, 1810 mAh battery capacity, will be listed in this summer with white, black, red three colors for options, but the price information remains unknown. Motorola always follow the tradition that the successful rule of one smartphone will be copied and be applied to the following handsets. 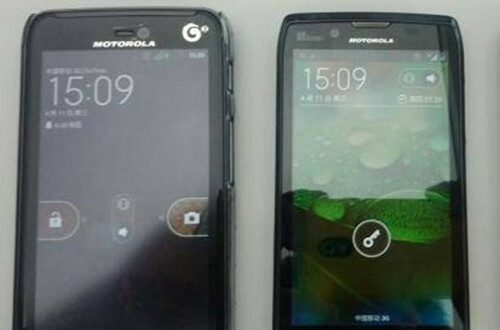 After the success of new generation MOTO RAZR XT910, similar model designs are put to the upcoming Motorola phones, and MOTO RAZR MT887 is one representative. Motorola RAZR MT887 does not own many differences in integral style when comparing to the previous RAZA series phones. The distinct phone line processing and the camera modeling are identical to the previous ones. More interesting, from market orientation Motorola MT887 is a bit lower than the flagship Motorola MT917, but it does has improvements on part of designs and hardware configuration. For example, Kevlar material is applied to the back of this phone and it is also equipped with 4.6-inch touch screen which is quite fantastic for you to watch video on Motorola RAZR. But the resolution support remains unknown. As for mobile phone processor which has received great concerns, there is no outstanding spot on Motorola MT887 for it still adopts the old 1.2 GHz TI OMAP 4430 dual-core processor, with 1GB DDR2 RAM memory and 4GB storage capacity. Because this phone supports TC-SCDMA/GSM network as well, so it employs double camera design that is prepared for video calling function. And the main camera on the back is shrunk to 8 million pixels. What is new on the new MOTO RAZR MT887? It should be the latest Android 4.0.3 system which brings users with smooth operating experience. And as for other functions such as Wi-Fi, GPS, memory card extension and Bluetooth 4.0 technology are all included. There is rumor that Motorola MT889 is actually DROID Fighter exposed before. According to relevant statement, this phone will be launched as the upgraded version of Motorola RAZR MAXX, with 3300ma battery equipped. Therefore, it is quite possible MOTO XT887 will also be equipped with 4.6-inch 720p HD touch screen and run on Android 4.0 system, just as DROID Fighter. To put it in another word, MOTO XT887 is bound to be configured with 720p HD touch screen as MOTO XT889. How to Download and Save YouTube to Motorola Milestone? How to Download and Save YouTube to Motorola Droid 3? 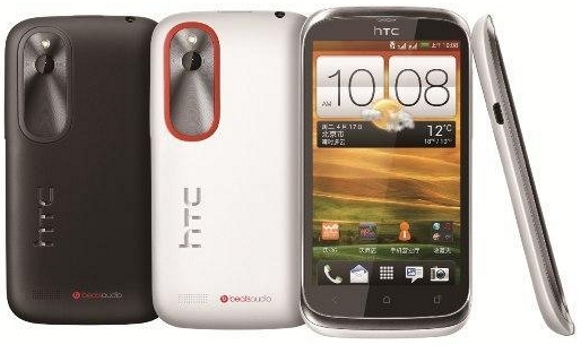 Due to the dual-card support function and low price, HTC T328w which was exposed not long ago, has received great concerns. And now with the official release of this phone, more surprises are brought to users. According to official HTC released information, HTC T328v belongs to the latest HTC desire V Series. 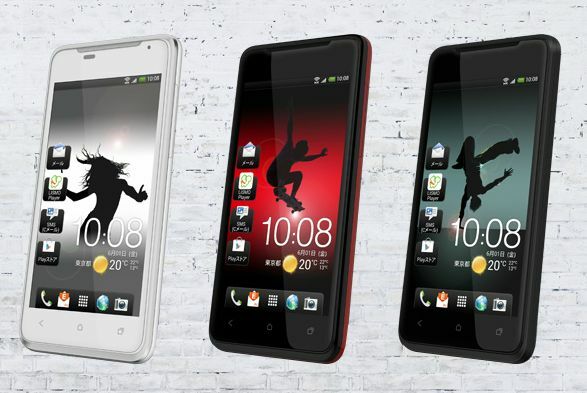 Based on different network system, there are certain differences in HTC desire V series mobile phone models. For instance, the China Mobile version is called HTC desire VT, the China Telecom version is called HTC desire VC and the earliest China Unicom version is named HTC desire V.
In addition to the difference in appearance, HTC desire VC and HTC desire V provide users with dual-card support function while HTC desire VT adopts TD-SCDMA/GSM network but with no dual-card support function. As for mobile hardware configuration, though there is no outstanding point of the three new HTC handsets, they own some special features: for example, it is equipped with 4.0-inch WVGA capacitive SLCD touch screen, built-in 1GHz Qualcomm MSM7227A processor, 512MB RAM capacity, 4GB ROM storage space, and up to 32GB memory card expansion. Embedded 5-million-pixel camera is included in HTC desire V series, with 1/4-inch CMOS sensor and LED flash light, supporting automatic focus and video recording functions, etc. In system platform, it employs Android 4.0 operating system as well as the newest HTC Sense 4.0 interface, which not only bring new landscape modes to main picture, but also the new UI is with improved task switching and informing functions. Although HTC desire V series are not positioned as high-end market mobile phones, HTC also makes an enhancement on the music entertainment functions, with Beats Audio and SRS WOW HD sound added which enable you to get access to rich and strong bass as well as clear and natural sound quality performance. And except for the built-in FM radio and 3.5-mm earphone interface, all other functions are included: gyroscope, gravity sensor, environmental sensors, distance sensor and digital compass and the bluetooth V3.0 technology, GPS navigation, Wi-Fi and more. HTC desire V series will also provide a variety of fashionable color designs for users’ options and it is quite competitive with low price. 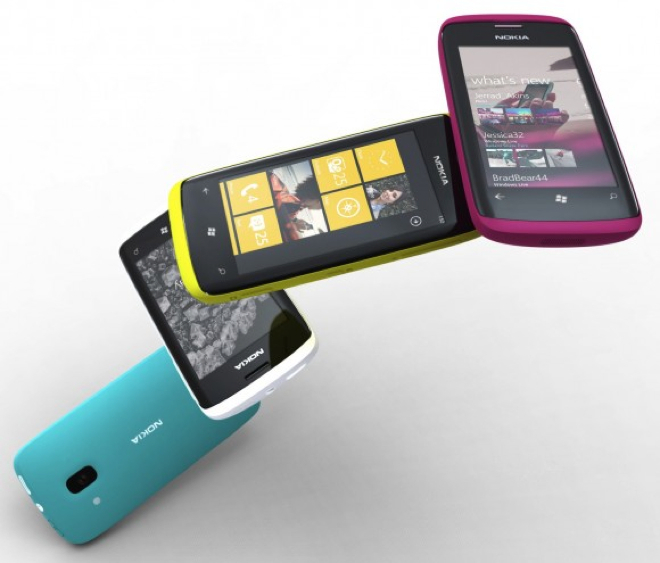 At the time Nokia Lumia aligned with Microsoft, Nokia has released a set of concept designs of Windows Phone. Today many of the concept designs have been made into real models. A piece of news from overseas media liveside asp.net stating that Nokia has applied patents for (D650, 350), and the appearance of the new phone reminds people of the previous concept design. Seen from the patent design of Nokia new phone exposed this time, it is quite similar to the previous phone in appearance: round shape and curved surface touch screen, and even the design and position of camera and fill light on the back are exactly the same. However, there are still some differences between Nokia patent design and the conceptual machine, for example, the Windows key of the new one does not employ the inductive touch way but adopt the entity key as Nokia Lumia 710. 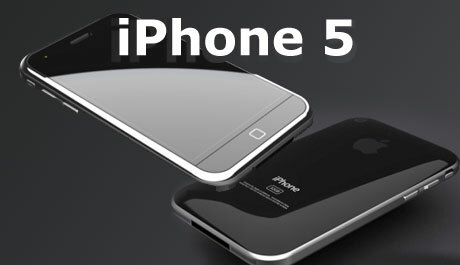 In addition, the patent application time of the new conceptual design is on May 26, 2011, which is a little bit late than the concept design that is released in February. So under this circumstance, it is quite possible that the new concept design blazed by Nokia is actually Lumia series new phone. Similarly, there are patent pictures leaked not long ago which are similar to this group of patent designs. Because there are not so many Nokia new phones leaked, so this phone may be Nokia Fluid or Nokia Ac/DC according to speculation. The former one has appeared once on Occasional Gamer website where Lumia 800 and Lumia 710 first leak, but without any specific functions. And also in the new phone list, Qualcomm Fluid is found, so it is likely a phone model running on Qualcomm processor. And there is rumor that Microsoft engineers ate testing new Qualcomm MSM8960 dual-core processor on Windows Phone system. Therefore, Nokia patent design exposed this time is possibly a dual-core model, Nokia Fluid maybe. Although all function details of Nokia new phone remain unknown, there will be no suspense that it will run on Windows Phone 8 system. According to previous media reports, new features of the new system lie in that multi-core processor support is added, new system will achieve equipment diversification in touch screen resolution which means that phone model with higher resolution will appear, furthermore, it will be provided with abundant storage space and memory card extension support. As for the market positioning of Nokia Lumia series new phone, the details of its appearance reveal that perhaps it is a midmarket phone model. The biggest characteristics are the dual-core processor and new operating system. It is still hard to determine whether it is Lumia Fluid or Nokia AC/DC. Lumia 900 VS. Galaxy Nexus VS. iPhone 4S: the Winner Goes to?